I have found the following things in some recent online browsing. As you will see, I am so ready for spring. 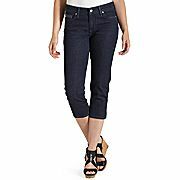 I would love a pair or two of this dark wash blue jean capri without cuffs. I prefer a darker wash for a more polished look. I also like that the stitching blends in with the denim, instead of the gold thread being used. I am very loyal to the Levi's brand. Two of these would replace my two pairs that are cuffed, which is simply a bit more bulk than necessary. The search for the perfect tee is on. 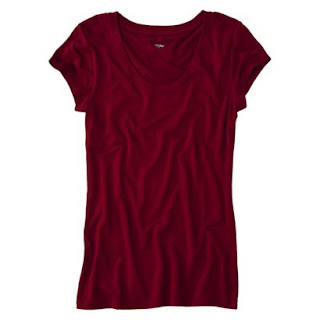 Perhaps this dark red one from Target? I wonder if this is more red or burgundy in person... I am so picky with cut and color. 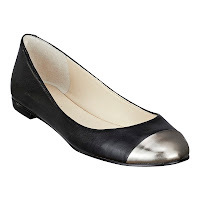 Target, H&M and Ann Taylor Loft have had both flattering and affordable ones in recent years. Based on my budget, I'll only pick up one or two this season. I can't wait to wear these cool weather clothes. With the best clothes, comfortable temperatures for my favorite activity- travel, my birthday and flowers in bloom, spring is my favorite season.